This is the ultimate premium touring summer tire designed to fit passenger cars. It takes advantage of the latest technology and tread design. 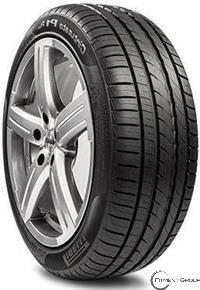 The Pirelli Cinturato is a green performance tire that is environmentally friendly. It offers the driver comfort and safety on all road surfaces. The noise emission mechanism ensure a quiet ride and the tread pattern enhances traction and steering handling on the road. The tires are built for safety on both dry and wet road conditions. The Pirelli Cinturato has an optimal aqua control system, which drains excess water. In the endeavor to go green and make the environment less polluted, the Pirelli Cinturato P1 provides lower fuel consumption. It produces less of the harmful CO2 emissions in the atmosphere.